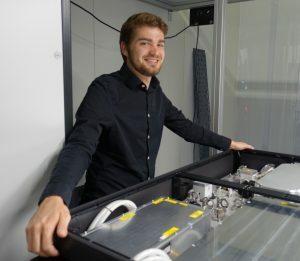 ARCNL group leader Peter Kraus has been awarded a Veni grant from the Netherlands Organisation for Scientific Research (NWO) for his proposal ‘Shining ultrafast light on ultrasmall chips.’ Kraus started on May 1st as tenure track group leader of the “High Harmonic Generation and EUV Science” research group. The development of faster computer chips requires the nanofabrication of semiconductor circuits. 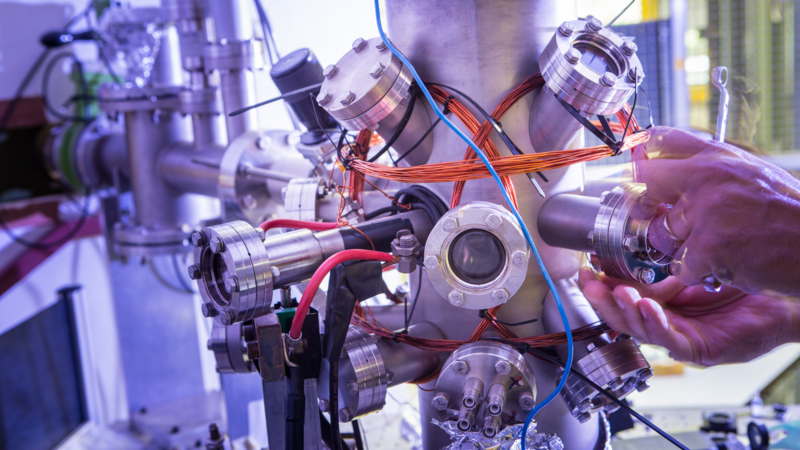 Understanding and optimizing the fastest processes in semiconductor manufacturing is enabled by the development of femtosecond to attosecond time-resolved spectroscopy. The current project will establish this methodology, and apply it to materials relevant to nanolithography such as photoresists. This year, a total of 154 researchers receive a Veni grant with a maximum of 250.000 euros. The veni grants are individual grants from NWO to promote scientific talent. They allow researchers who have recently obtained their PhD to conduct independent research and develop their ideas. With this approach, NWO and the Ministry of Education, Culture and Science encourage curiosity-driven and innovative research. Veni is part of NWO’s Talent Scheme (Veni, Vidi and Vici) that is aimed at different career phases of scientists.